Gok Wan is an award-winning TV presenter and fashion expert. His name is now synonymous with offering straightforward fashion advice to women to boost their appearance and confidence, no matter their age or shape. Gok’s engaging approach, combined with his personal charm, has enabled him to build a reputation as one of the UK’s best known TV presenters. 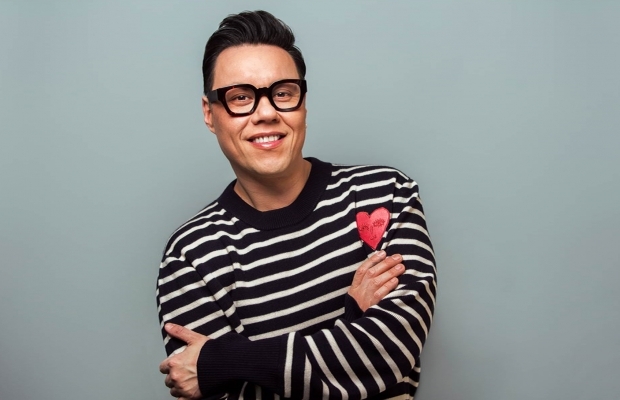 Gok first came to fame in the UK as a fashion stylist, crashing on to the nation’s screens with an infectious personality that belied his deep understanding of fashion and style. His first TV series for Channel 4, ‘How To Look Good Naked’, was a big success and paved the way for a further six series as well as various other spin off fashion focused TV shows. However, it was his ability to relate to people, combined with his knowledge and love of food and cooking that enabled Gok to expand his expertise across a broader lifestyle remit and in 2012, he presented his first TV cooking show ‘Gok Cooks Chinese’. Many of Gok’s fashion and style TV series have been sold worldwide affording Gok international recognition, which has led to appearances on the Today show in the U.S., as well as TV work in Australia. As his professional profile grew, Gok used his status to draw attention to the issues he feels passionate and has become actively involved in several charities, all of which have a common theme of being emotionally engaging as well as inspiring people to achieve their dreams. Gok has drawn on his life experiences to raise awareness of the many challenges surrounding child obesity and anti-bullying, and remains enthusiastically involved in fund raising projects for cancer care and child empowerment charities. It is Gok’s style credentials combined with his ability to appeal to a broad audience that have made him a popular choice with brands looking to collaborate with him for his impressive design skills as well as securing his professional endorsement as an ambassador. But above all, it is his articulate and intelligent approach to presenting, which has earned him a well-earned reputation as an authentic voice.